The Piston Engine is covered in EASA 66 Module 16 in much the same way the Gas Turbine Engine is covered in EASA 66 Module 15. Module 16 is a comprehensive and thorough presentation of all necessary details that an aircraft power-plant technician must know. Engine configuration and firing order. Low and high tension systems. Causes and effects of turbine blade stress and creep. Configuration of firewalls, cowlings, acoustic panels,engine mounts, anti -vibration mounts,hoses, pipes, feeders, connectors, wiring looms, control cables and rods, lifting points and drains. 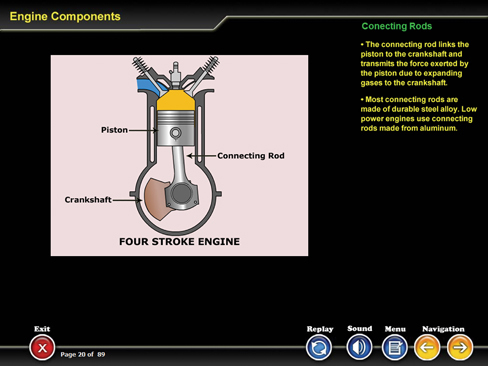 Inspection of engine and components: criteria, tolerances,and data specified by engine manufacturer. Preservation and de-preservation for the engine and accessories/systems.